If you don't like the font Word automatically defaults to when you open a new document, there's an easy way to change it so that every new document you start has the font setting you want. Watch a step-by-step video guide of this tech tip. Then, go to the Home tab. 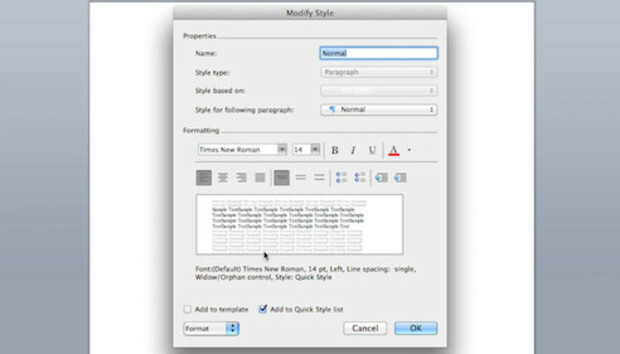 In the Styles section, right-click the Normal box (Control-click on a Mac) and select "Modify." This will open up the Modify Style dialog box. Once there, choose your preferred font and size. Make sure you select "New documents based on this template" before you hit okay and you're all set (on a Mac, it's "Add to template"). Now, when you start a new document or launch Word, the font will be the one you selected. « Seagate announces the Samsung Wireless Mobile Streaming Device. Huh?